We believe children can learn about worship and benefit from being a part of community worship, well before they would ever be able to define or explain it. 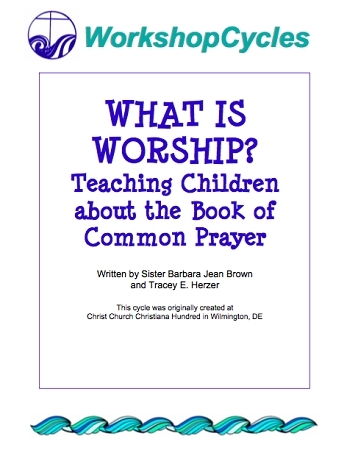 This unit examines some of what happens in a church service and helps children connect with it as their relationship with God grows. The word "worship" derives from "worth-ship" and it literally means to give something or someone its due worth. For Christians, worship is at the heart of our life as a faith community. Through our worship we give honor and praise to God but we are also drawn into the mystery of God and into a deeper relationship with God. Regardless of denomination, there are some common elements that make up worship – words and music, silence and symbols, movement, ritual, prayer, preaching, listening, etc. When we imaginatively combine these elements, our hearts, minds, senses and imagination are called in to play as we interact with God. Appropriate for K-5th Graders.